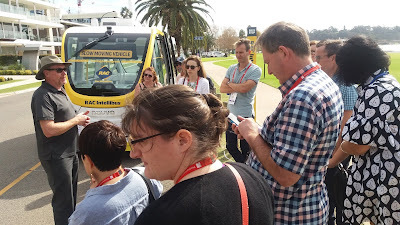 Another field trip at the PIA (Planning Institute of Australia) conference held in May in Perth. This time to learn about Australia's first driverless electric shuttle. The Royal Autoclub of Australia, with support from West Australia State Government and the City of Perth is trialling a fully driverless electric shuttle bus on a small route in a part of urban Perth. Groups of delegates were able to experience this service, and be briefed on how it works, and what it's safety features are. For many of us this was quite an education into driverless vehicle technology. 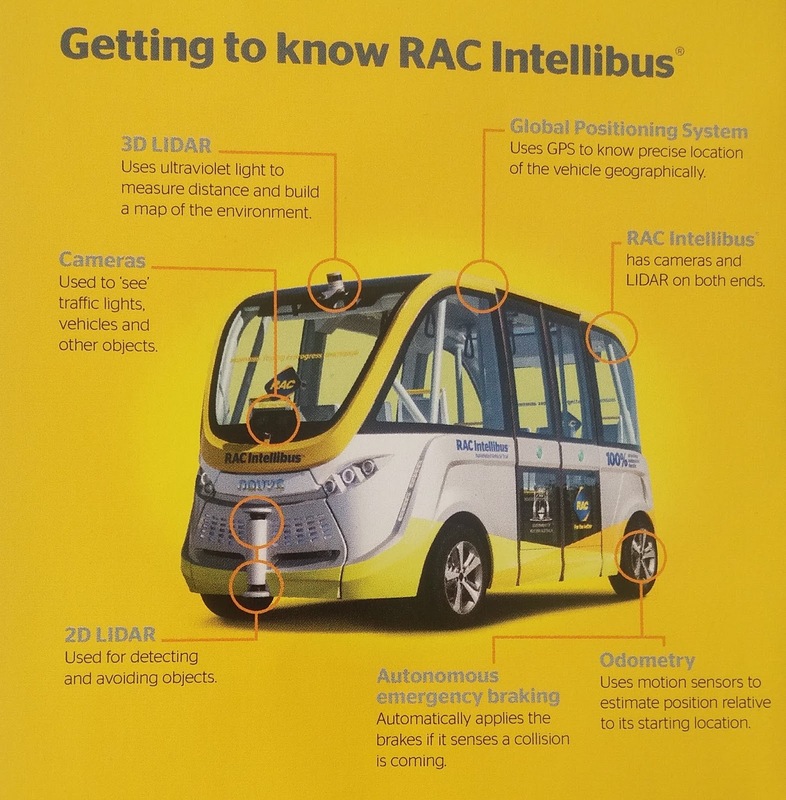 The RAC "Intellibus" is a level 4 vehicle. It uses LIDAR, stereovision cameras, GPS and odometry to drive itself. It is fitted with multi-sensory technology providing 3D perception that allows it to map the environment along its route, detect obstacles and interpret traffic signs. You can learn more from this site.